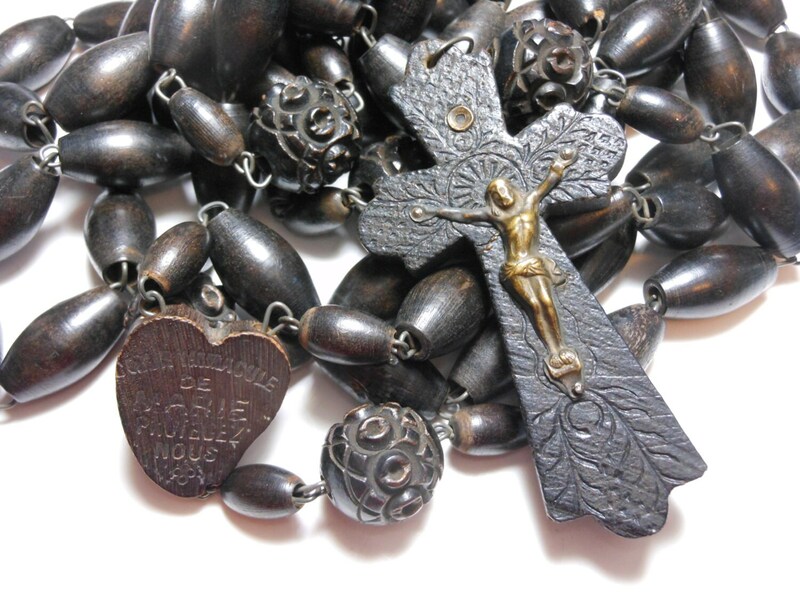 Stanhope rosary, very large Sainte-Anne-de-Beaupré souvenir wooden beads and crucifix photos of Basilica and statue, early 20th century. There are two images of the Basilica and one of the statue in the chapel. 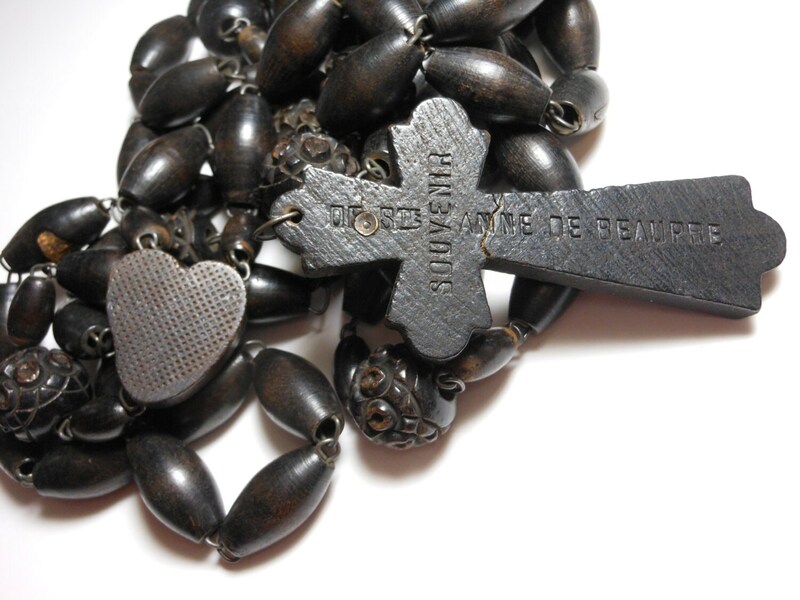 The Crucifix on the cross is a thin metal, the back says De Ste Anne De Beaupre Souvenir. The center is a heart with Le cœur Immaculé de Marie Protecez Nous (Immaculate Mary protect us). The Our Fathers are carved. Stanhopes are tiny viewers that were popular in the late 1800's and early 1900's. They were popular souvenirs. The images are seen by holding the cross sideways, and if you see nothing on one side, just turn it around and look from the other side. If the images has slipped and you can tap the side of the cross to try to realign it. I am pretty sure from the photos that this is the new Basilica built in 1926 after the fire. From what I understand these were made in France and sent to the Basilica outside of Quebec. The cross has been broken and glued at one point. 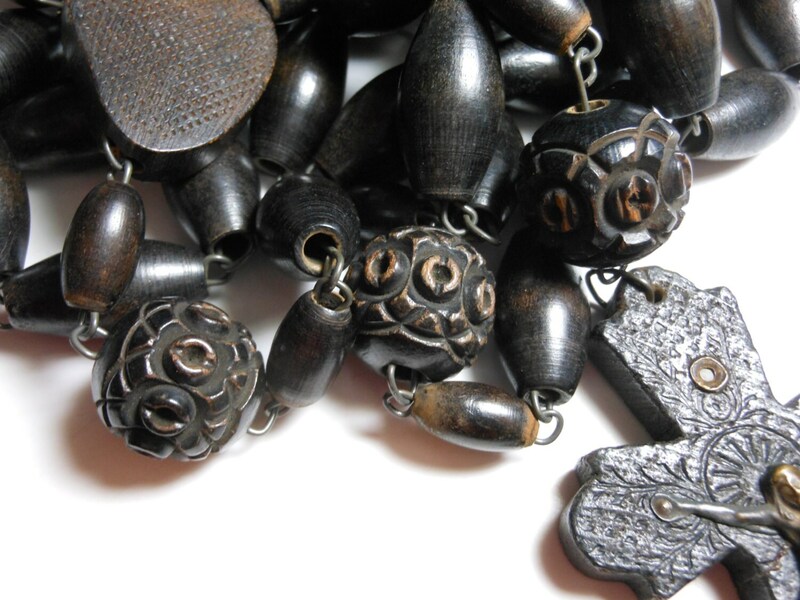 Any mars in the wood appear to be original to the piece as there is stain over them also. 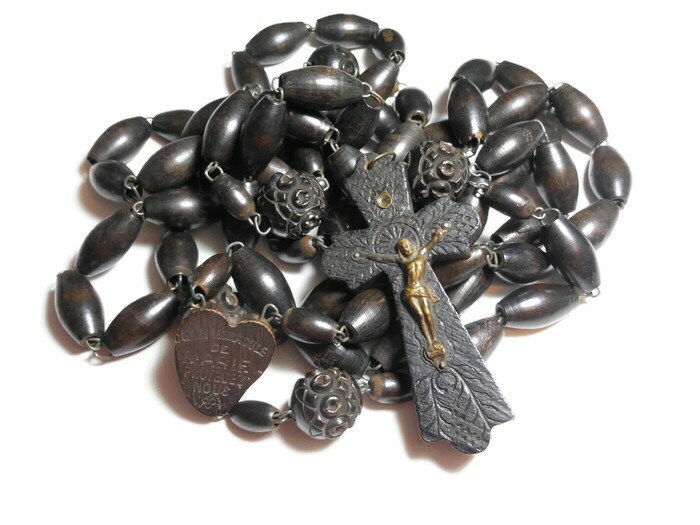 Large rosary belonging to someone in the religious order, Monk, Priest, Nun, Brother who made a pilgrimage to the shrine. 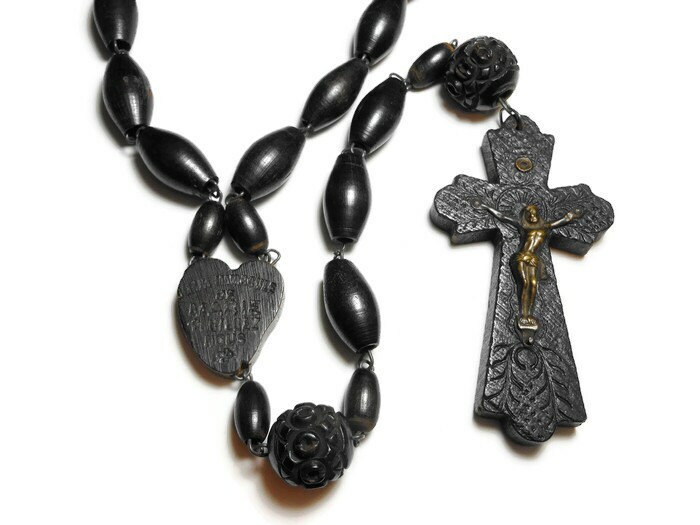 Hanging length approximately 54” (137.2 cm), Crucifix is approximately 3 1/2” (8.9 cm) X 2” (5.1 cm).